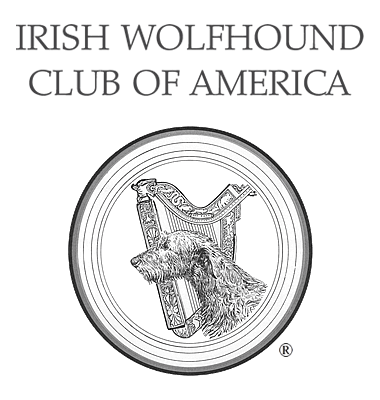 Liver Shunt 101 - Irish Wolfhound Club of America, Inc.
What is “liver shunt” and why should ALL Irish Wolfhound puppies be tested before going to their new homes? Getting an Irish Wolfhound puppy is exciting! There are all sorts of new things to learn, and one of those is what a liver shunt is (also called PSS for portosystemic shunt), and why it is important to test Wolfhound puppies. A simple and inexpensive blood test that the breeder has done about 8-9 weeks of age can tell the breeder, and you, if the puppy has this deformity before the puppy goes to their new home. The liver is a highly complex organ with vital functions. It filters blood and removes toxins that are created during the normal digestion of food. During pregnancy, the mother’s liver does all of the work for the puppies. Blood vessels bypass or “shunt” around the puppy liver and allow the blood to be detoxified by the mother’s liver. Shortly after birth, these vessel shunts naturally close allowing blood to flow through the puppy’s liver. A normal puppy’s liver now takes over the detoxification process. A liver shunt occurs when these vessels do not close like nature intended. Blood is unable to be properly filtered by the puppy liver. The toxins create an inflammation of the brain causing symptoms such as depression, seizures, blindness and disorientation. These signs are worse shortly after a meal when these toxins are at their highest level. Affected puppies are often unthrifty and smaller than littermates. There are both medical and surgical treatment options for liver shunts with varying degrees of success. Most affected puppies start showing signs within weeks of being in their new home. The tricky part of liver shunts is that pups may not show signs until they are eight, ten, twelve weeks or even older. There are also different ways the shunts can form (intrahepatic vs extrahepatic) which creates varying levels of clinical signs. No one can tell by just looking at a puppy whether it has liver shunt or not. ALL IRISH WOLFHOUND PUPPIES SHOULD HAVE A LIVER SHUNT TEST after the age of 8-9 weeks. ALL BREEDERS should be able to tell you the results of this blood test (bile acids test).